Just because the room is small doesn’t mean the walls have to be white. Paint in a color you love, bold or pastel, or wallpaper that makes a statement is as appropriate for a small room as a large one. A small bathroom means smaller-sized fixtures and splurging on a nice cabinet or sink won’t hurt the pocketbook as much, while adding style. Contrasting shower tile is a great way to add color to a bath and gives you a reason to keep the curtain pulled back, opening up the space, and showing off your colorful shower! If your small bath or powder room doesn’t have a window, use decorative lighting for your focal point, and add wall sconces on the wall over the toilet, and on either side of the mirror. Floor covers, and adhesive tile is simple to install, is available in endless designs and colors, and can be the feature for your small bathroom. When new tile, paint, or wallpaper isn’t in the budget, add color through your accessories. Brightly colored curtain or shade, rug, and artwork can make the room. 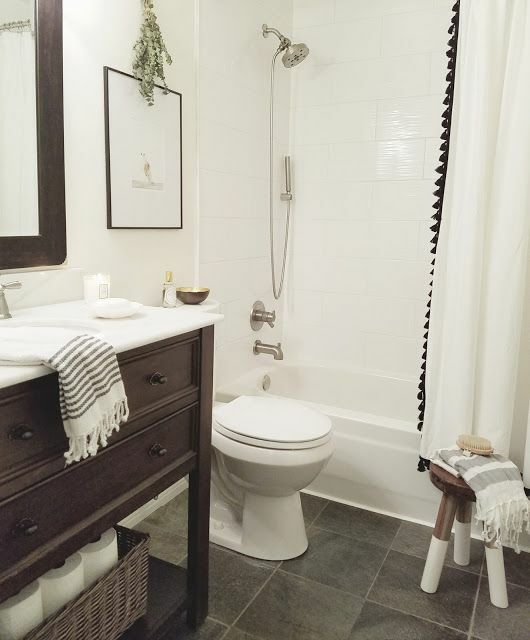 Since most small bathrooms don’t have a lot of storage, you have to be creative and practical, or use functional decor. Check out these bathroom storage ideas from Good Housekeeping. Weekend warriors or those who are confident enough in their skill level can create recessed shelving with this how-to from DIY Network. If you like the idea but lack the skills, call a reputable carpenter to handle this small job. Large mirrors aren’t just for large bathrooms; using them in your small bathroom helps bring in the light, making the room appear larger. Keep the less-is-more attitude when adding things to a small bathroom; a small plant, soap, and hand towel are all you need on the counter. Tools you will need: plastic sheeting, wide masking tape, rags and old towels, bucket, spray bottles or garden sprayer, three- or four-inch wide scrapers, paper scoring tool, large tile sponge; if the wallpaper is old, you may need to purchase an enzyme-based remover at a home store. Before you begin, remove furniture from the room, or put it all in the center, and cover with plastic. Using the masking tape, tape the plastic sheeting over the baseboards, and spread the rest of the plastic onto the floor. Don’t forget to cover electrical outlets! Using the scrolling perforator tool, gently score the paper in every direction so your solution (next step) can penetrate the paper and adhesive for easier removal. Now, mix up one gallon of hot tap water with one cup of white vinegar, add to your spray bottle or garden sprayer, and apply the solution to the scored paper, one section at the time. Allow to sit for ten minutes. Beginning in a top corner, lift the paper with the scraper, and gently tug. If it comes off easily, continue to remove as much paper as possible, carefully using the scraper on the more resistant parts. If that first piece isn’t budging after a tug, allow the vinegar solution to sit for a few more minutes, then test again. Once you have the bulk of the paper off one section, continue spraying and removing one area of the wall at the time. Use care when you get to a section where the glue can be especially sturdy: give the area shot of the vinegar solution, and gently scrape in the direction you’re pulling the paper. You don’t want to damage the drywall or plaster. Once the paper is off, you’ll still have some of the backing stuck to the walls. Using a large sponge dampened with the vinegar solution and your scraper, rub over the backing, scraping gently as you go. After the walls are clear of paper and adhesive, fill your bucket with clean warm water, and wipe the walls down with the tile sponge. Allow to dry. Paper will likely remain under any switch plates and outlet covers. Turn off electricity to the room, and remove the wall plates with a screwdriver, peeling the paper off carefully. 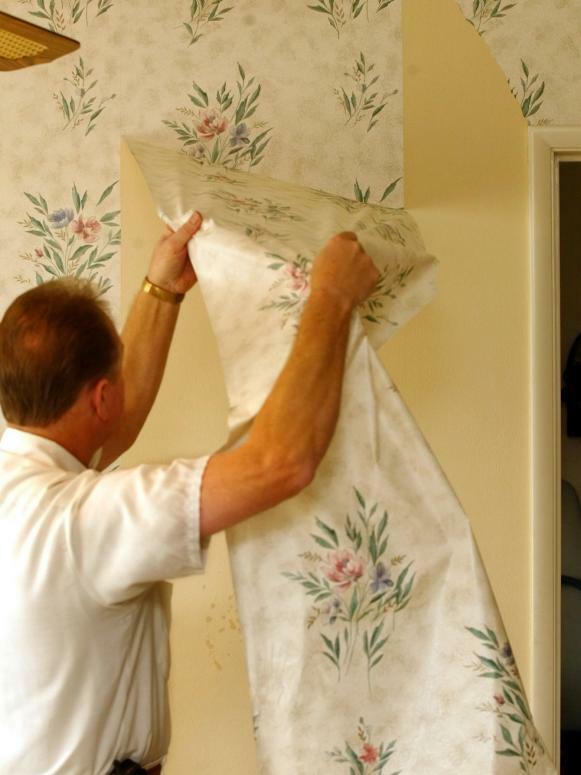 If the paper has been hung over other layers of wallpaper, obviously, the job will take more time, but try to only remove one layer at a time, using the above steps for every layer. Sometimes you get lucky, and more than one layer comes off at a time. Set aside a weekend for this job and grab some help to make the job go faster. Take your helper out to eat once the job is complete! Your home is on the market, the whole family has pitched in, decluttered, cleaned like never, reworked the furniture layout, and maybe even done some painting and remodeling. You also work full-time, and the kids keep you busy after school with activities and lessons. How do you keep the house clean and smelling fresh for showings? Follow these tips so you won’t have to work too hard after working hard. Two things to be done daily: keep the mail sorted and newspapers in the recycle bin and make the beds. If there’s an upper bunk bed that’s a beast to keep looking show-perfect, have a large comforter that can be thrown on top and cover the not-so-perfect sheets. The bathroom can be an issue with needing constant cleaning to keep it sparkling and fresh, and disposable cleaning wipes are the best way for a quick clean. You can also use a bit of fresh-scented cleaner for pouring down the sink and tub drains to clear the air while you’re away. Once you’ve done a major clean of the tubs and showers, keep them shiny with a DIY daily cleaner. Bev from The Make Your Own Zone has a great guide for keeping the shower sparkling! If you have pets, but don’t have time for constantly vacuuming and sweeping stray fur, keep them brushed daily, and, if they love the sofa, have sheets on the furniture to simply remove when you know someone will be there for a walk-through. Didn’t have time to do the dishes? Rinse them well and stash them in the oven if you have no dishwasher. Pouring some vinegar and baking soda down the drain/disposal will help keep any food odors away. The kitchen can be a major source for oily spots, and baking soda is the key to getting those areas clean. Sprinkle some on a damp cloth, scrub the greasy areas, and go back over them with plain water. Wipe down those areas as soon as you’ve finished cooking to keep them from getting visibly dirty again. If you can afford to have more than one throw rug or mat by the front door, have one clean and ready in case one gets visibly dirty, or just to put a fresh one down before a showing. Choose one room to spend most of your leisure time in. That way, when they kids are finished with homework, reading, or toys, everyone can keep an eye on things, and make sure whoever makes a mess cleans it up. In today’s busy world, a lot of home showings are done on the weekends. Have your weekly cleaning jobs done by Thursday evenings so you will only have to make sure things are in order and wipe down a few areas before buyers start coming through. Delegate an age-appropriate job to every person in the house and make a list if necessary. 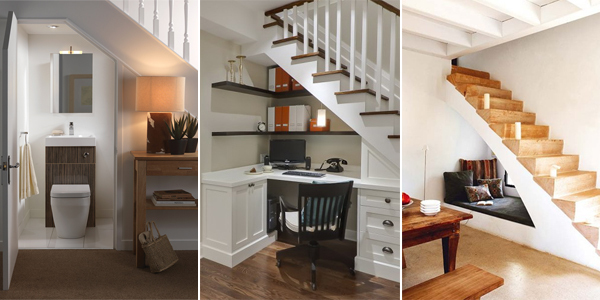 Set up a home office or study space for the kids. Add a small double-leafed or card table, use stackable or folding chairs, install some shelving, and have the room serve as the game/play room. If your children like to invite friends over for video games, hang a flat screen on the wall, a small shelf for their game console, lay a cushy area rug on the floor, and purchase bean bag chairs, slip chairs are large floor pillows for seating. Create a reading room with a small bookshelf, a comfy chair, blanket, small side table and lamp. Get the television out of your living space, get some affordable seating, and create a home theater. Do you have a musician in the family? Soundproof the walls, add extra electrical outlets, and clear the floor for your own concert hall. Give your workout equipment a home in the extra room, use a small television for workout entertainment, install a comfortable bench, hooks for small towels, and include a small fridge for water and smoothies when you’re finished with exercising. Use one end of the table for office space. A dining room is less busy than other rooms, and you can get more done there without distractions. Use a laptop for the space, take advantage of wireless printing, and use part of a china cabinet for supplies so you won’t fill the room with office clutter. Consider using a smaller table or remove the leaf from a large table. Place some comfortable seating at one end of the room, add a sideboard to use for a coffee/tea bar, and have an after-dinner seating area. If your home lacks an extra living area, why not use it for family time instead of a dining area? Treat the space as you would a den, and furnish it with sofa, chairs, and television for a cozy family room. There are no rules that say a room must be used for what the blueprint says. Your home is just that–your home. You know best how you and your family can use a space. It doesn’t have to cost a lot; shop thrift shops and tag sales, or use what you already have. You can add extra space to your home without picking up a hammer and nail! The weather is cooler, but the days are still long enough to get some regular Fall maintenance done. Get your home prepped for cooler weather now so it won’t be a problem later. Clean gutters before the leaves fall so they won’t get clogged. 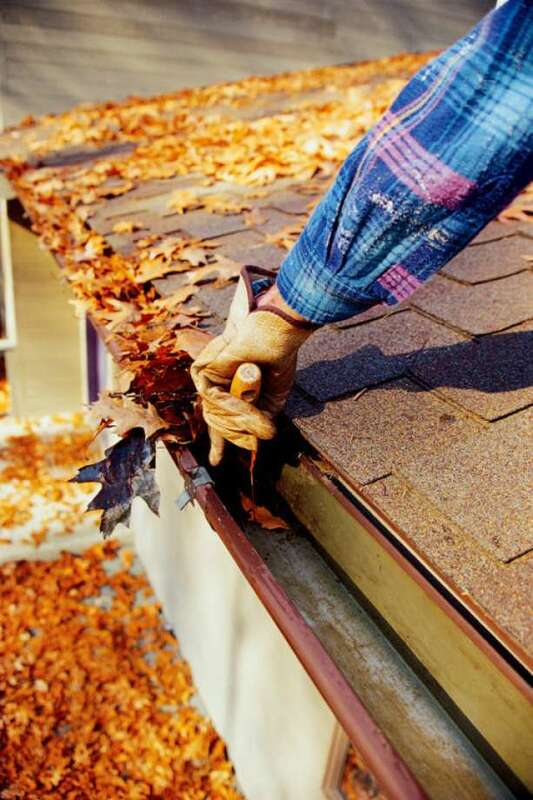 Consider installing some gutter protectors so the coming leaf drop won’t cause further problems. Raking leaves is a job many don’t care for, but if you do, and plan on burning them, check with your local government offices or HOA guidelines to make certain it’s allowed. If not, it’s best to bag them for curbside pick-up, or find a gardening neighbor that would appreciate the extra composting material. After you’ve mowed and raked one last time, fertilize the lawn. The roots are still active, and the extra nutrients will help the grass overwinter safely. Speaking of using the lawnmower one last time, drain the fuel and oil from gas-powered equipment, and clean them well. This Old House offers some excellent tips on putting up the lawn mower for Winter. Give the roof a good look and replace broken or missing shingles. Check windows and doors–inside and out–for drafts and apply weather-stripping or caulking where it’s needed. Today’s Homeowner has a video that shows us how to apply caulk around our windows. Call your HVAC serviceperson, and have the heater checked and serviced, if necessary. Go ahead and make sure your filters are new–buying them in bulk keeps you from having to remember to get one every couple of months and saves you money. If you use wood for heating, hopefully it’s already cut and seasoned. Store it at least 30 feet from the house, covered, unless you bring it in a few days before you burn it. Turn off your sprinkler system timer, shut water off at the main, and drain the system. If you’re not able to drain it yourself, it may be worth the money to hire a pro to blow the pipes out and drain the sprinkler heads. It may take a couple of weekends to get all of these done, but all are important to do, and hopefully save you from a headache and spending a lot of money later in the Winter. Some of these chores could be done by a teenager looking to earn a few extra dollars, and they can learn something in the process. You’re never too young to learn about taking care of your home. Stenciling has come a long way from the floral room borders of the 80’s and 90’s. There are so many stencil designs available, and ambitious DIY’ers can even make their own! Bob Vila gives us a step-by-step tutorial on stenciling, as well as offering tips and tricks that are good to know before you get started. Wallpaper doesn’t need to cover every wall of a room. Add a bold or bright print to one wall, and add style and interest to the room. Get inspired for a wallpapered feature wall with these ideas from Better Homes and GardensⓇ. Create an accent wall with paint–this DIY can be done in a day, and make a huge difference in the look of the room for the amount of time it takes. This article from Real Simple has interior designer advice on choosing a color and even furniture placement after the job’s done, as well as tips for painting. 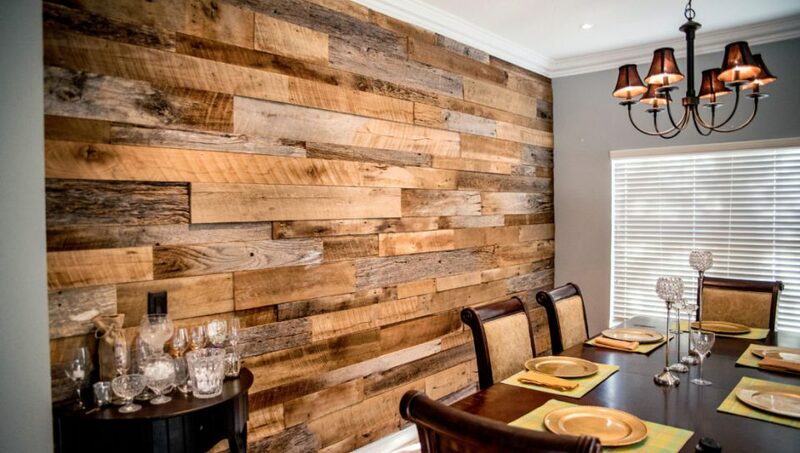 Plank walls are a popular choice for a focal point as well as an accent wall. There are many materials choices for this feature: reclaimed wood, pre-stained wood, peel-and-stick tile, and even vinyl paneling! Sponge painting is still being used today, but with a more subtle look that adds the appearance of texture to a wall. There are many techniques, and House Painting Tutorials has several examples and links to their tutorials for each technique. Creating a board-and-batten from stock materials is a good undertaking if you’re handy with power tools, and this type of wainscoting can really transform a room. It may take a while to get this one done, but the difference it will make will be worth it. Embossed tin panels or tiles can be used to create a vintage-look focal point, or add corrugated tin for a more industrial look. There are many more ways to change the look of your home with accent walls, and The Handyman website covers several of them–stone, brick veneer, and stamping to name a few. Once you get started, you may love the style accent walls add to your home, and end up with one in every room! Almost every homeowner has some upgrades or small projects on their to-do list, from installing new gutters to new landscaping. What they aren’t always thinking is if the next small project will add value to their home. Not every home improvement increases the value of a property, whether they’re a necessity or not. Roofing While a new roof looks great, it is considered a maintenance issue, so unless your roof needs replacing, or you have damaged shingles, this job rarely adds value. On the other hand, depending on where you live, a metal roof can add some value to your home, lower your homeowner’s insurance premiums, and may save on the electric bill. Landscaping Keeping your yard trim and weed-free doesn’t decrease or increase your home’s value, and some landscaping certainly helps if you’re trying to sell. Adding a small fish pond with waterfall, however, isn’t necessarily going to add to add value. Electric/Plumbing In older homes, an upgrade here is something that’s necessary, and even if you used top-of-the-line products and the most expensive plumbers and electricians in the area, it won’t add value. Swimming Pool Putting in a pool is simply a personal choice–you have it done because you want to enjoy some refreshment and relaxation on a hot day. Rarely does an added pool or spa put money in your pocket if you sell. High-End Upgrades In order for upgrades to add resale value, they must be consistent. Don’t add imported tile to one bathroom, and then leave vinyl and Formica in the half bath. HVAC A new A/C unit or heating system is another maintenance item, and though someone looking for a home may find some relief in knowing that there’s a brand-new unit attached to the home, they’re not going to pay more for it because it’s new. Carpet If you’re thinking about installing new carpet to prep your house for the market, talk to your RealtorⓇ. Going to the expense of new carpeting may be less desirable to house-hunters in your area. If you want to make that money back, then consider another type of flooring for your house. 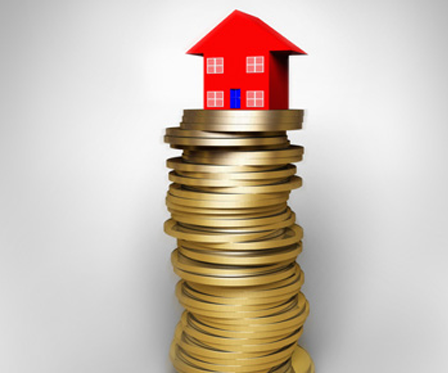 These items don’t necessarily mean that you shouldn’t have them done, but it does mean that you likely won’t get the extra money they cost back in case you sell your home. What it will help is the home sale itself–someone on the search for a new house will be more likely to purchase a home that has a new roof or new flooring. Nolo.com has some excellent information on what will add value to your home, as well as some other home improvement tips. When in doubt, do some research, and give your RealtorⓇ a call, as they know exactly what you need to do to get the most out of your house. Along with all the planning of what you’re going to do and where you’re going to stay, consider this checklist to make you feel more comfortable while you’re away from home. Don’t post about your trip on Facebook and other social media until you return; some burglars look for this type of announcement to schedule their activities. Don’t hide a key; burglars know exactly where to look for your key and it only takes them a moment to check under the mat, above the door, in the flower pot or in a fake rock. These easy-to-handle suggestions may protect your belongings while you’re gone while adding a level of serenity to your trip. Acquisition debt cannot be increased by refinancing. Some confusion occurs because mortgage lenders are concerned in making home loans that will be repaid according to the terms of the note and using the home as collateral. That does not include making a tax-deductible mortgage. Carbon monoxide is a silent killer you don’t want in your home but because it is colorless and odorless; you may not even be aware the deadly condition exists. The Center for Disease Control says more than 400 people in the U.S. die annually from carbon monoxide poisoning and over 10,000 require medical treatment each year. Unmaintained furnaces, water heaters and appliances can produce the deadly gas. In addition, other sources could be leaking chimneys, unvented kerosene or gas space heaters or exhaust from cars or trucks operating in an attached garage. Headaches, nausea, vomiting, dizziness and feelings of weakness or fatigue are a few of the most common symptoms. Lower levels of exposure to carbon monoxide may be mistaken for the flu. Carbon monoxide alarms should be on every level of a home and especially, in sleeping areas. The alarms can be purchased for as little as $25 and plugged into the wall like a night light. Regardless of the government requirements, no one would want to put their family, guests or themselves at risk for something so deadly.